Background: Not much of one. 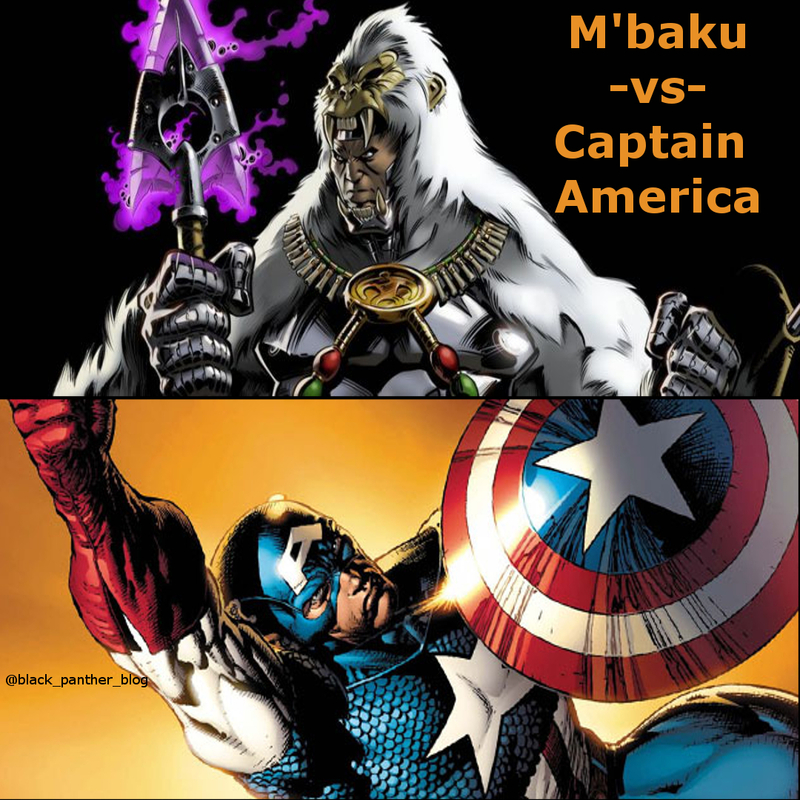 M'baku ambushes Captain America in some dumb villain scheme involving the Lethal Legion after he was banished from Wakanda for his failed coup attempt. No fear Captain America fans... Quicksilver and the Vision saved Mr. America. The other Avengers attacked M'baku, who had to make a quick getaway. 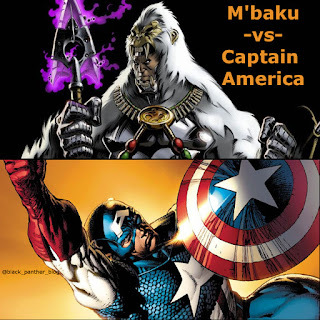 Ahhh... the days M'baku wasn't a complete joke. His first two appearances, he beat up T'challa (and then accidentally smashed himself lol) and then beat up Captain America. His next thing was beating T'challa again via the infamous Monica mannequin.